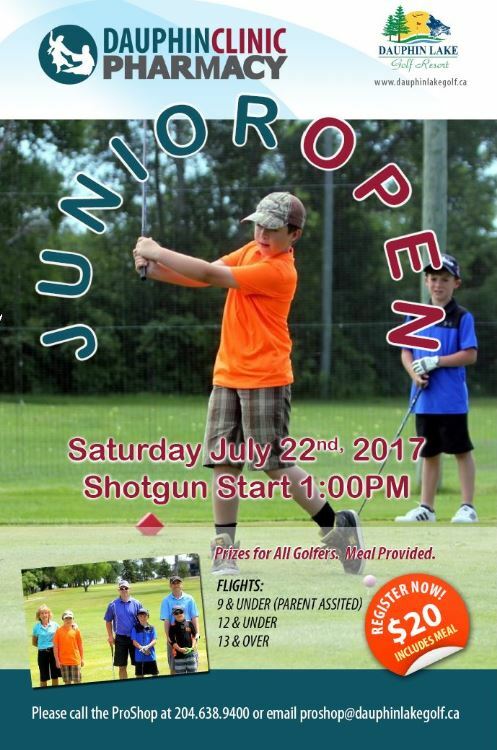 DCP is proud to sponsor the JUNIOR OPEN at the Dauphin Lake Golf Resort taking place Saturday July 22, 2017. To register your children please call the pro shop at 638-4602 or email proshop@dauphinlakegolf.ca. It will be a shot gun start at 1pm. We hope your children can come out for a fun afternoon of golf, a meal and great prizes!